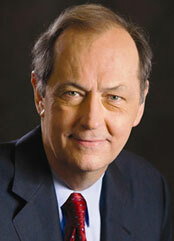 In a memoir at once deeply felt, lively, and astute, Bill Bradley talks about his life, his country, and his hopes for the American future. He speaks with affection about his small-town, Missouri upbringing and the values shaped by it. He traces his road from childhood to Princeton to Oxford to ten years of professional basketball to public service in the U.S. Senate. And he brings vividly alive the world of a senator – the rocky road to legislation, the invasiveness of the media, the power of money. For the past seventeen years, I crisscrossed America as a politician, a United States senator from New Jersey. I have spoken in convention centers, union halls, churches, hotel ballrooms, college campuses, and living rooms of wealthy contributors. I have autographed T-shirts and auctioned basketballs. I have shaken hands at factory gates, commuter stops, farm picnics, and state fairs. I have dedicated new buildings and eaten endless varieties of ethnic food, including white-bread sandwiches with crust cut off. I have spit out 10-second TV interviews and taken part in two-hour panel discussions. I have appeared in support of senators, governors, congress people, and mayors. By 1994, I had campaigned in forty-six states. I threw myself into these political trips around America. Give me eight hours in a hotel room for sleep, phone calls, and reading, and I could stay on the road for weeks at a time. I enjoyed listening to people I met. They told me their stories, got me to laugh, made me wince, angered me. These encounters were the meat and potatoes of my travels – and the spice. As I moved from place to place, I inevitably brushed up against history – the story of what happened to people living in that part of America. Slowly, as the number of places I visited increased, I saw past events not only in their particularity but also in their sweep. The expansion of the United States westward became more than the founding of St. Louis, or Custer’s last stand, or wagon ruts in the Wyoming rock beds of the Oregon Trail. The ruins of dwellings at Chaco Canyon in New Mexico triggered my imagination about the Anasazis, who lived there long before the first European arrived in America. An exhibit in western North Carolina on the Scotch-Irish immigration confronted me with my own roots and spurred me to look into the lives of my ancestors. Civil War battlefields like Gettysburg and Antietam conjured up images of Americans fighting each other in defense of liberty as each side defined it. The tensions and contrasts in America between freedom and order, the individual and the community, material well-being and spiritual transcendence, a common culture and ethnic diversity, pop out at anyone who travels with open eyes and a curious mind. Sometimes during these campaign journeys I encountered the fruits of my legislative efforts in the U.S. Senate, for which I was either damned or praised, picketed or presented awards. I also came face-to-face with unmet needs of Americans who were living in poverty, many of them paralyzed by self-doubt and terrorized by violence: I saw mothers in urban America afraid to send their children to school through neighborhoods controlled by gangs; families in Appalachia living bone-chilling poverty with their Scoth-Irish independence beaten down; colossal failure of our Native American reservations. I saw fear of the future in the faces of middle-aged men who had lost their jobs; what they thought would never change had disappeared, and they had nowhere to go. I those pockets of America, I was reminded that I am in politics to take action, to stop suffering, to promote opportunity. Without a new approach and more resources, the cycle of despair in the inner cities, in Appalachia, in the Dakota badlands, would never be broken. Without more good-paying jobs, the hopes of middle-class families would never be realized. © 1996. 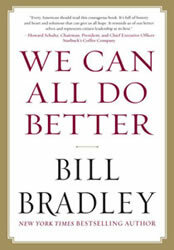 Reprinted with permission by Vintage Books, a division of Random House, Inc.